The partnership will consolidate all goods movements between Superdry distribution centres, stores and customers on a single platform. 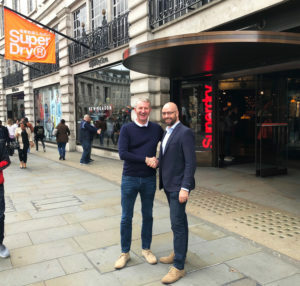 Nine months in and integration has been established between Consignor and Superdry’s WMS provider, JDA, at Superdry’s retail, wholesale and ecommerce distribution centres in the UK, Europe and USA for channels. And 40 carrier services have been added. Consignor’s technology enables Superdry to reduce shipping costs and improving service within final mile delivery by improving decision making. “The ability to pull all the disparate shipment data streams from our ecommerce, wholesale and store delivery providers into one place gives us the opportunity to be more strategic in our decision making with regards to managing what we do now and, just as importantly, what we do next,” said Superdry global e-commerce service manager Ben Willetts. “We’ve also improved delivery visibility for customers who use our click and collect service. Additionally, cross-border delivery is now smoother for international customers through the digitization of customs documentation,” added Willetts.